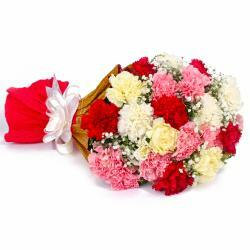 Product Consist : 18 Mix Color Carnations with green fillers in Cellophane Wrapping with Ribbon Bow on it. 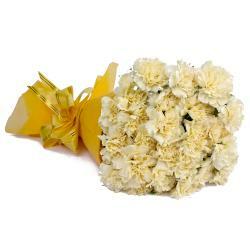 This contains a gorgeous bunch of Multi color roses that symbolize love, passion and warmth to the hilt. This bunch contains eighteen stem in all and has been immaculately packed in cellophane coupled with a matching ribbon bow on top for company. 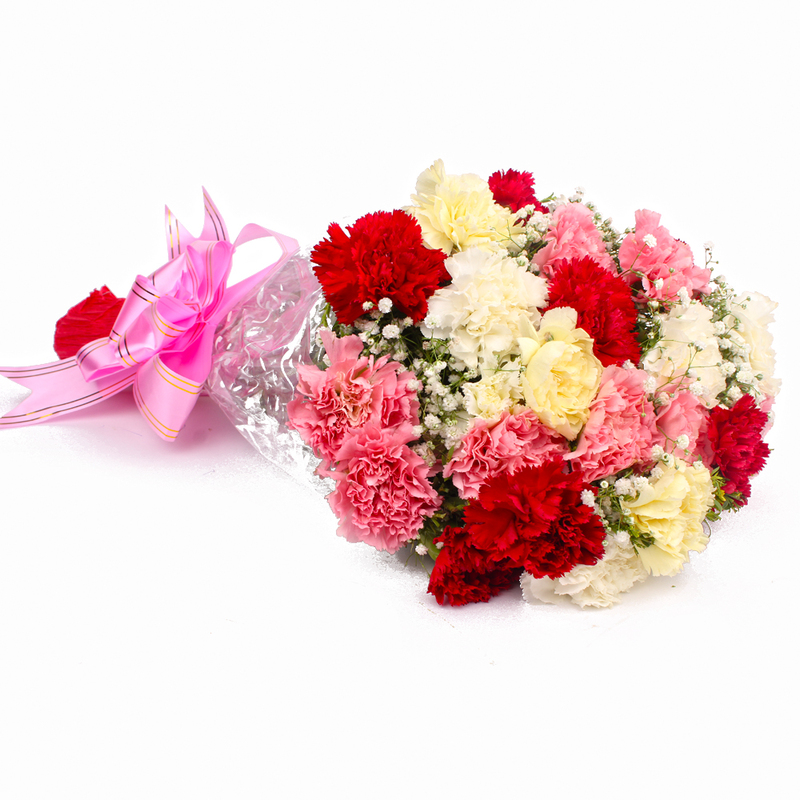 This adds a whole new dimension to this colorful carnations bunch and makes this a perfect gift for special occasions like anniversaries, birthdays, Valentines Day, Diwali and Bhai Dooj among others. 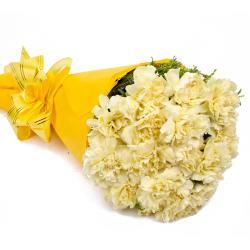 You will find it really hard to resist this gift pack without a doubt. 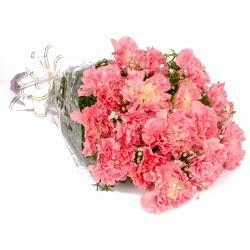 Product contains : 18 Mix Color Carnations with green fillers in Cellophane Wrapping with Ribbon Bow on it.